Award-winning comedian Kathy Griffin discusses her infamous Donald Trump photo, the change in Roseanne Barr, and her Laugh Your Head Off World Tour. Supported by Pizza Trokadero, the Bookshelf, Planet Bean Coffee, Grandad’s Donuts, Humber College’s online Music Composition course, Hello Fresh, and Planet of Sound. 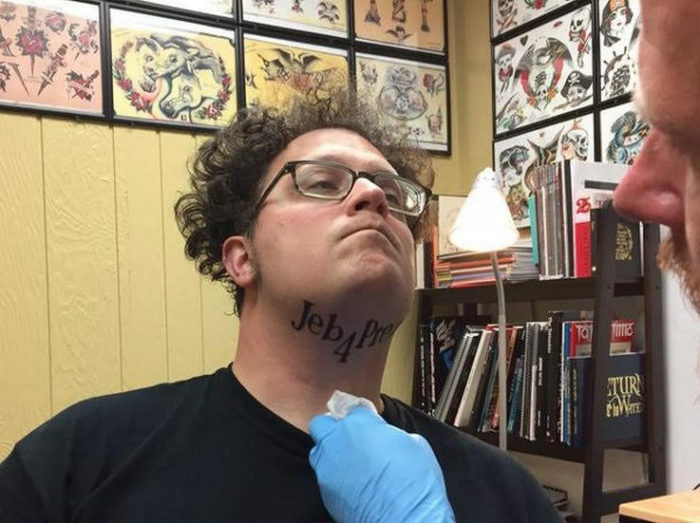 Vic Berger is a talented video editor and satirist based in Bethlehem, Pennsylvania. Currently employed by the online video and production company Super Deluxe, Berger has made a name for himself with his surreal video creations, in which he re-edits existing news and pop culture footage to highlight their most odd and socially awkward moments. While he’s been at it a while now, both independently and in collaboration with the ingeniously uncompromising comedian Tim Heidecker, Berger’s profile has risen considerably since he began producing clips that tweak the 2016 U.S. presidential election, its various debates, and, in particular, the Republican ticket of Donald Trump and Mike Pence. Here, Vic and I discuss growing up and living in Bethlehem, little cities and big success, working from home for Hollywood, perogies all day, his degree in music and songwriting, the Beatles and Beach Boys, DIY independence but also well-adjusted socializing, playing in a band in high school before going solo, getting into music again someday, current faves like Of Montreal, Foxygen, the Lemon Twigs, raising kids and finding time for music in one’s life, going to Philly, no more movies, background music, growing sick of this negative U.S. election campaign, Donald Trump and Toronto Mayor Rob Ford, catering to the alt right movement and its key figures, The Daily Show remote segments with Trump supporters, disappointment with people more than the candidate, Hillary Clinton hatred, dealing with Trump’s inconsistencies, immovable bases, obfuscation and deliberate voter suppression, political engagement, political engagement prior to 2016, what he’s learned about the media, a lack of substantive news reporting, CNN, Giuliani the goldmine, music therapy and election stress, therapeutic Vines and YouTube videos, comedic communication and coping, making music videos and fooling Tim Heidecker and On Cinema at the Cinema into thinking he had real expertise, comedic influences like Tim & Eric, the BBC version of The Office, awkward and uncomfortable comedy, six political degrees of Larry David, vicariousness, nihilism and civilization, Curb Your Enthusiasm, giving Trump too much credit, insult comedy, the horrifying ‘Hillary should be in jail’ comment during the second presidential debate, gaudy style over meaningful substance, the stylistic trademarks of his videos, saturating Trump, digital zooming, Jeb Bush tries to seem cool, diminishing powerful people’s power, the Jimmy Fallon/Trump’s hair clip, maybe Jimmy wasn’t onboard, comedy shows held to the same standards as news shows, humanizing Trump, the air horn, Melania says “Hello?”, how he made the video sending up the recent Town Hall debate between Clinton and Trump, what works and doesn’t work, telling stories in his videos, what to expect from the third and final presidential debate, nastiness, how he thinks the election will end up going, Trump’s horribly dangerous and intimidating Election Day instructions for his supporters, divisiveness and healing, upcoming projects and people to cover, “Jeb is a Mess,” the Bush family, and that was paaaaaaaaaaaaaaamp!